"After Vanilla Ice, but before Eminem, there was "Hot Karl," the Jewish kid from the L.A. suburbs who became a rap battling legend—and then almost became a star." Jensen Karp, formerly known as rapper Hot Karl, is an LA-based writer, comedian, and co-owner of Gallery 1988, the nation's leading destination for pop-culture themed artwork. He has appeared on several VH1 television shows, hosts and cohorts podcasts and web series and has written and produced for Funny or Die, the MTV VMAs, Rolling Stone, WWE Raw and the ESPYs, to name a few. I must preface this review by saying, I am not a fan of Kanye West or rap. But, with Kanye's reputation in the media, when I saw the title of this book, I was immediately intrigued. This memoir is a hysterical look at the rap and hip hop scene and cutthroat music industry in the early 90s to 2000s. 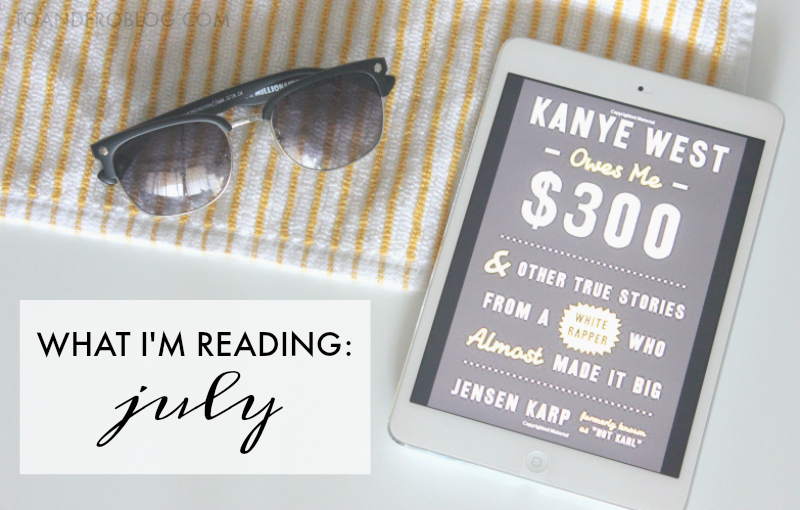 And while Kanye plays a minor role is Karp's adventures, this book kept my attention through all 19 chapters. As an early teen when Karp's career in rap took place, I was the furthest thing from a rap or hip hop lover (hey, Backstreet Boys). But, even for this boy band lover there are many familiar faces that make an appearance throughout the book. Some that remain a household name in today's music scene. "Kanye West Owes Me $300" was an outside of the box book for me, but I'm glad I chose to give it a chance. Bottom line, it is an easy, no brainer kind of summer read that I would recommend to anyone interested in just that, or rap.